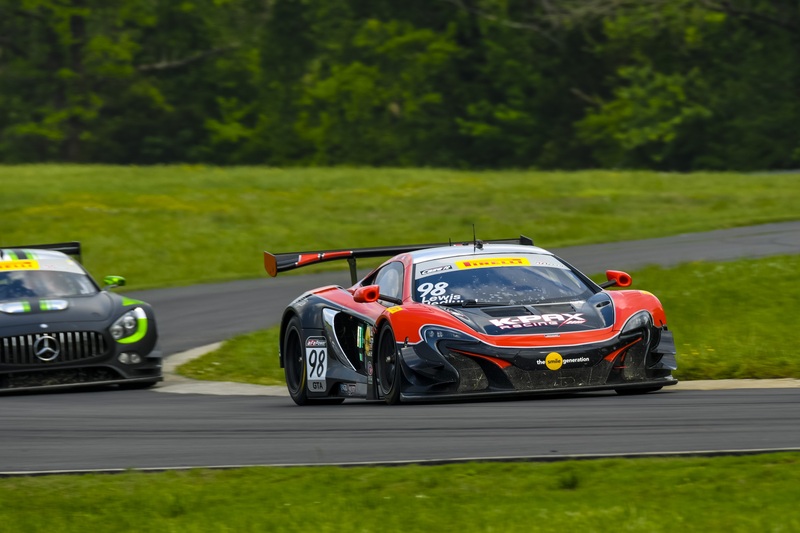 After finishing in 5th position in Rounds 1 and 2 of the Pirelli World Challenge Sprint X Championship’s Pro/Am category at Virginia International Raceway last month, Michael Lewis and Mike Hedlund will carry that momentum into Canadian Tire Motorsport Park this weekend. 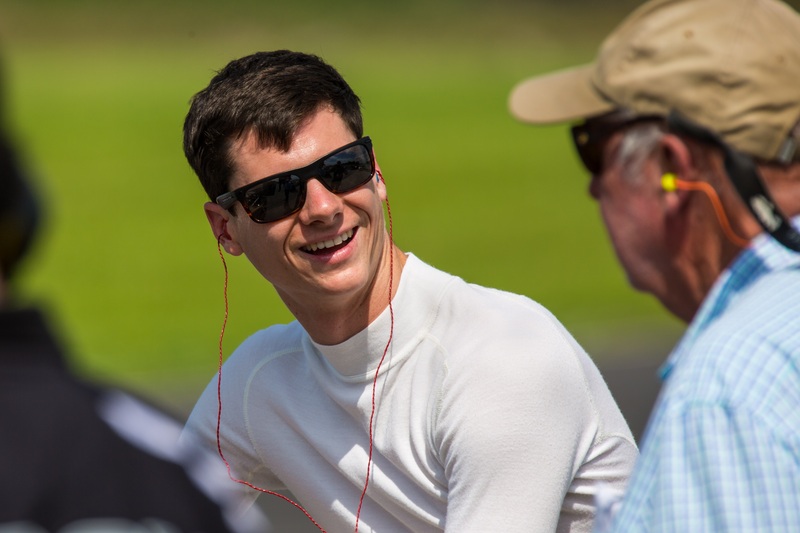 Laguna Beach, CA — Michael Lewis will compete in back-to-back race weekends in the Pirelli World Challenge beginning with this weekend’s two rounds at Canadian Tire Motorsport Park in Bowmanville, Ontario, Canada. Michael Lewis looks forward to competing at Canadian Tire Motorsport Park this weekend, where he has finished srong in the past. Michael and teammate Mike Hedlund will participate in Rounds 3 and 4 of the Sprint X Championship driving the No. 98 K-PAX Racing, The Smile Generation McLaren 650S GT3. Michael has experienced success previously at the 10-turn, 2.458-mile permanent road course, where he finished 8th in the Pirelli World Challenge two years ago while competing in the GT category. 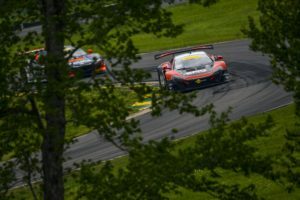 “The Canadian Tire Motorsport Park track is quite a fun place to drive,” explained Michael Lewis. “The first sector is full of really fast turns that a GT3 car can take very well. These GT3 cars have quite a bit of downforce, so it is a pleasure to use that in the fast turns. The No. 98 K-PAX Racing, The Smile Generation McLaren GT3 650S will return to action this weekend with Michael Lewis and Mike Hedlund sharing the driving duties. Rounds 3 and 4 will air live on www.motortrendondemand.com beginning at 1:35 p.m. ET for Round 3, and Round 4 will air live on Sunday, beginning at 3:30 p.m. ET. Both races are scheduled to be broadcast on CBS Sports Network on Sunday, May 28, beginning at 6:30 p.m. ET. Fans of Michael Lewis can watch Rounds 3 and 4 of the Sprint X Championship live at www.motortrendondemand.com on Saturday and Sunday, or on television on CBS Sports Network on Sunday, May 28. 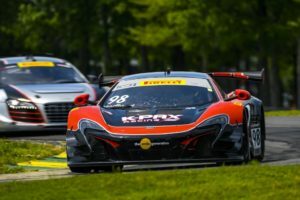 Since joining the Pirelli World Challenge in 2007, K-PAX Racing has celebrated a total 93 podiums, 37 wins and four driver championships, solidifying the team as a continuous championship contender. 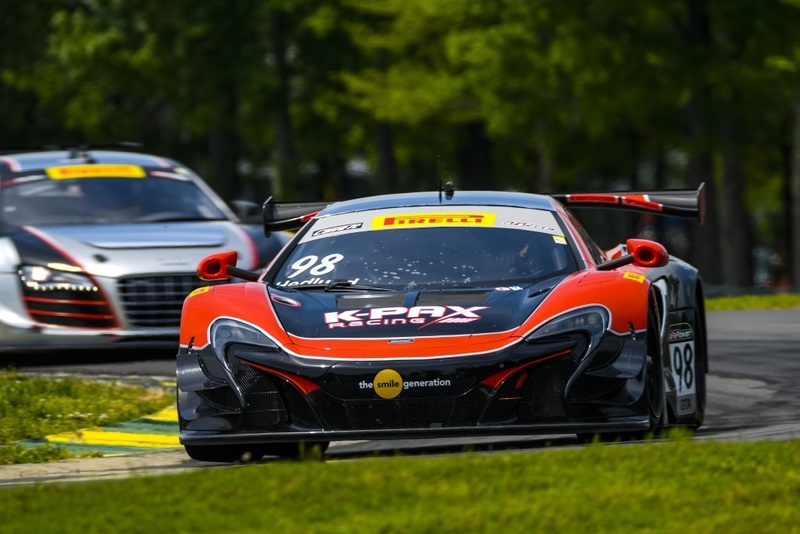 In 2014, K-PAX Racing expanded its relationship with McLaren GT, bringing two new 2015 McLaren 650S GT3 race cars into competition. The renewed effort kept K-PAX Racing at the forefront of competition, becoming a serious championship contender in the seasons to follow. 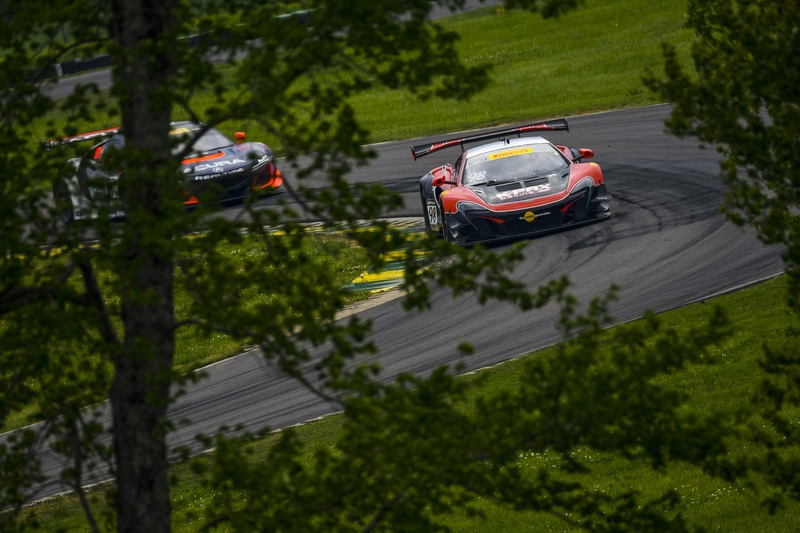 In 2016, the team expanded to three full season McLaren 650S GT3 race cars, and clinched the Pirelli World Challenge Team, Driver, and Manufacturer Championships. McLaren has been a pioneer and setting benchmarks on the tracks around the world for 50 years, and the latest range of GT racing models based on the road-going McLaren Automotive range is no different. McLaren GT was established in 2011 to develop, build and support all GT race activities. Based in Woking, Surrey at the former home of McLaren Racing, the company is responsible for the design, development and production of the 650S GT3, 570S GT4, and 650S and 570S Sprint models. This entry was posted in News on May 18, 2017 .